MANILA - (4TH UPDATE) The Sandiganbayan on Friday acquitted former Senator Ramon "Bong" Revilla Jr. of plunder in his Priority Development Assistance Fund (PDAF) or pork barrel scam case. Two of his co-accused, businesswoman Janet Lim Napoles and Revilla's former chief-of-staff Richard Cambe, were found guilty of plunder by the anti-graft court. Three Sandiganbayan justices voted in favor of Revilla's acquittal, including Geraldine Econg, Edgardo Caldona, and Georgina Hidalgo. Justices Efren de la Cruz and Maria Theresa Dolores Gomez-Estoesta, meanwhile, dissented. Following Revilla's acquittal, the anti-graft court also ordered the lifting of the hold departure order against the former lawmaker. But before he was released from police custody, Revilla posted P480,000 bail after his promulgation. He still faces 16 counts of graft. Revilla was officially released past 6 pm. He was reunited with his wife Lani Mercado and their children. The former action star has been detained at the Police Custodial Center in Camp Crame since 2014, while Napoles has been detained at a Bureau of Jail Management and Penology facility in Camp Bagong Diwa. The court also ordered that Cambe be committed to the New Bilibid Prison in Muntinlupa City while Napoles be transferred to the Correctional Institution for Women in Mandaluyong City. Revilla, along with former Senators Juan Ponce Enrile and Jinggoy Estrada, were accused of receiving kickbacks from pork barrel scam mastermind Napoles in exchange for funneling part of their discretionary funds to bogus non-government organizations. The prosecution had accused the actor-turned-politician of embezzling P224 million in discretionary funds while he was still senator. He, however, is still facing separate PDAF graft cases. Prosecutor Mariter Santos said they were disappointed with the acquittal of Revilla, while Deputy Special Prosecutor Manuel Soriano said they will study their next course of action. An Anti-Money Laundering Council (AMLC) report earlier said the bank deposits and investments made by Revilla, his wife Cavite Representative Lani Mercado, and their children amounted to P87,626,587.63 from April 6, 2006 to April 28, 2010. This was the same period that pork barrel scam whistleblower Benhur Luy indicated in his ledger that Revilla received commissions or rebates from his transactions with Janet Napoles involving his Priority Development Assistance Fund (PDAF) or pork barrel. 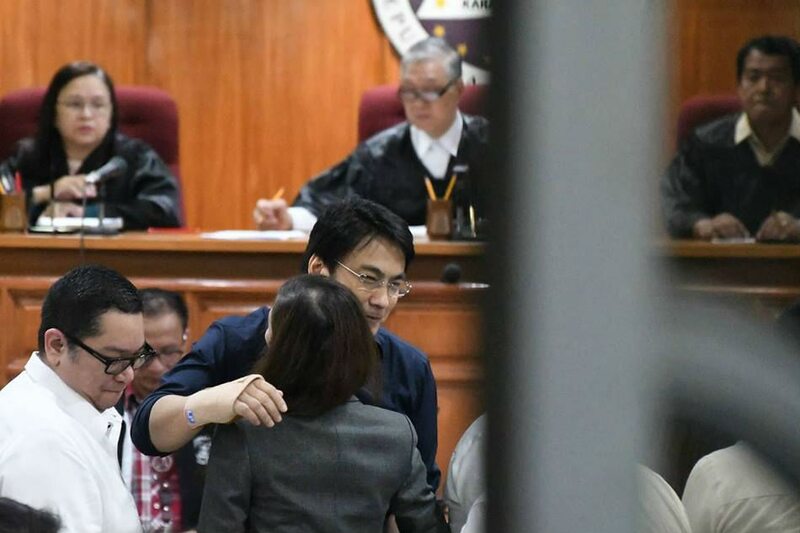 "I never received money from Janet Lim Napoles at sa mga kasamahan niya (and her colleagues),” Revilla said during one of the hearings of his plunder case. The country's former top graft-buster Conchita Carpio Morales earlier said Revilla should be convicted of plunder over his alleged involvement in the multibillion-peso racket. "Given the evidence the office gathered, if I were a judge, I would convict him. Period," she said in a statement released Thursday. Revilla is seeking to return to the Senate in next year's midterm elections, along with Estrada and Enrile. Pork barrel scam characters: Where are they now? Estrada said his close friend's acquittal may boost his chances of being cleared over the same accusation. "Medyo malaking boost ito sa amin ngayon, lalo na sa 'kin. Dahil nga na-acquit na si Senator Bong Revilla, siguro unti-unti nang nalalaman ng taumbayan na talagang napagkaisahan lang kami in the previous administration," he said.